Chimes was challenged via Twitter to answer a prompt addressing the importance of freedom in student press. As I thought about how to answer the prompt, I saw the Washington Post commercial play during Super Bowl Sunday. While I watched, I found that I was inspired by the words and courage of the journalists mentioned in the commercial. The message displayed at the end of the commercial read, “Democracy dies in darkness.” Throughout our lives, we’re told by our teachers, loved ones, friends, mentors, etc., that our voices and opinions matter, that we’re the future. So when we’re given opportunities to share stories, whether they’re historical on a larger scale (politics and current affairs) or fun and heart-warming (Calvin Crushes, Patsy’s Place), they remind us just how much our voices matter. In journalism, our job is to find hard facts and chase the truth; however, it doesn’t exclude us from finding warmth and inspiration in our search for the truth. As editors and writers in student publications, we may not be chasing stories like the Chicago Tribune or The Atlantic; however, our publication allows us to grow and learn and make room for bigger stories. Each of us presents a different perspective that allows us to be both critical and creative in our search for truth. Our student publication is more than a hobby or “fun campus job.” It’s both a home and an adventure in one place. It’s the place that allows us to spread our wings, educate and inform our students about current events and also brings us comfort as we explore our passions of writing and editing. Having freedom in our student publication is essential to honoring the imaginary contract we have with our readers and those above us who allow us this freedom of speech. Our readers expect truth, they expect us to investigate at all costs so that they can be informed readers and active participants in our campus life. This freedom allowed me to write a story about a beloved staff member on campus, which rallied support from staff, faculty, and students past and present. The ability to share her story not only impacted her positively, but also demonstrated the power of words and story and how they can rally a community. Whether Chimes is sharing stories like Patsy’s or informing students about our drug policies with the legalization of marijuana, students and others in the community look to us as a reliable news source. As an editor, the best feeling is walking into class on Friday mornings and seeing students read and discuss the content of our paper. 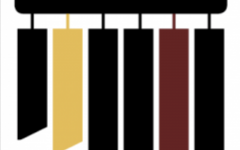 Calvin students and staff alike look to Chimes to keep up with the latest news at Calvin. Freedom is something often taken for granted, but when we view it as both a right and a gift, we can use it to deliver truth. The truth, whether grotesque or beautiful, should be allowed to be shared with students without restriction or limitation. I wholeheartedly agree with the words “democracy dies in darkness.” Without democracy, we don’t have freedom.